There’s a temptation to hibernate during the cold winter months and the cold weather wants to keep us cosy, nestled indoors with a hot cup of tea. 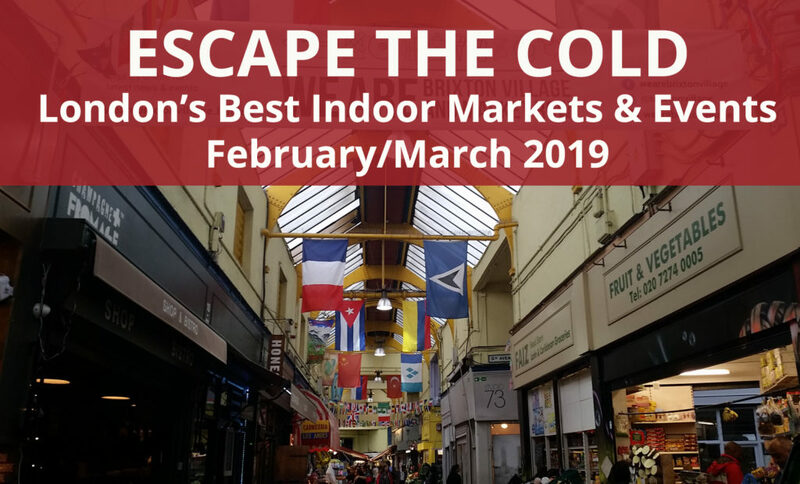 Fortunately, in London there are lots of indoor markets and special market events to visit, without getting frost bite. 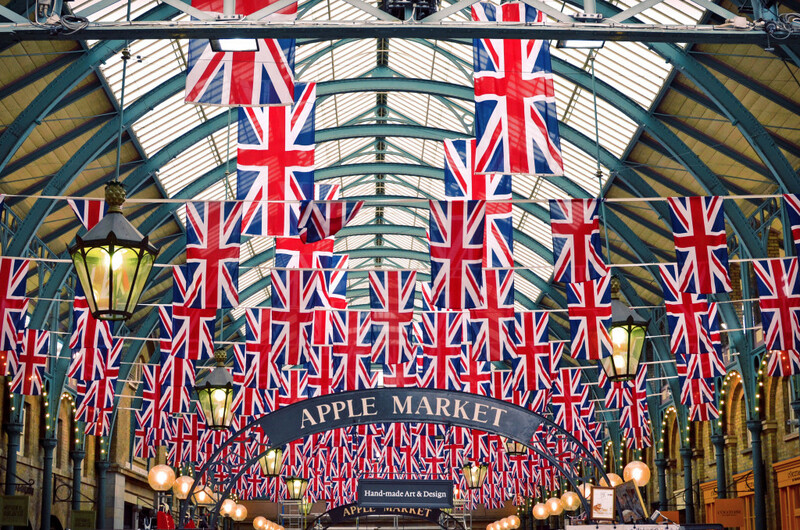 Whether you want to eat street food, do some artisan shopping, buy vintage, retro or antiques, or perhaps you like to shop from unique independent brands, London has many super cool indoor and covered markets to discover. Escape the cold and wet weather. Here’s our guide to London’s best indoor markets to visit this winter. 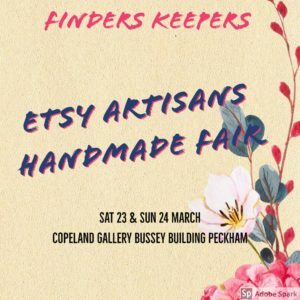 Finders Keepers bring together a community of Etsy artisans from London and beyond. Visit their next market in Peckham on March 23rd and 24th. Find out more. 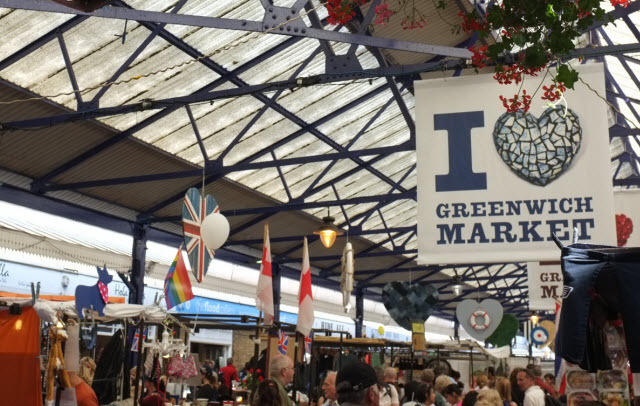 Greenwich Market in South London is a great place to visit at anytime but in the winter months or during wet weather you’ll be kept dry as it’s a covered market cocooned by some fantastic independent shops, and cafes. Head to Greenwich Market either during the week on Monday, Tuesday, Wednesdays, or on the weekends Saturday and Sunday to visit their arts and crafts market. You’ll find some great handmade items, jewellery and fashion designers, homeware and more. Find out more. 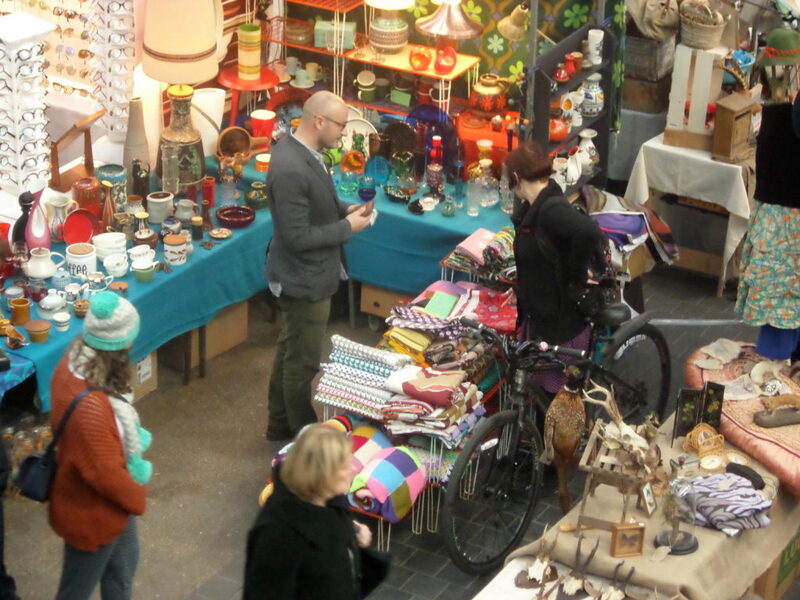 Camden Lock Market is a fantastic hall filled with a great mix of independent designers, makers, arts and craft stalls. Some stalls are geared towards the tourist visitors (so lots of souvenirs and London-centric gifts and memorabilia). You’ll also find lots of great artisans. Find out more. Covent Garden Apple Market is a big hit with visitors to London and tourists so a lot of the products and stalls on show reflect this, but there are many high-end, boutique vendors with some great stuff on offer. Many handmade and artisan products. It’s a beautiful space, cobbled floors and plenty of shops, cafes and restaurants to really enjoy the London experience. Find out more. 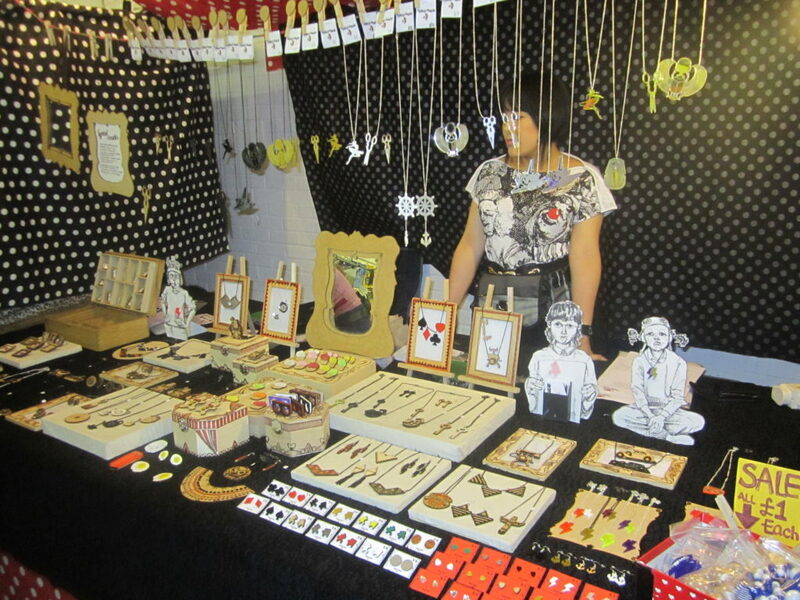 The DIY Market is an independent market event which happens 2 or 3 times per year. 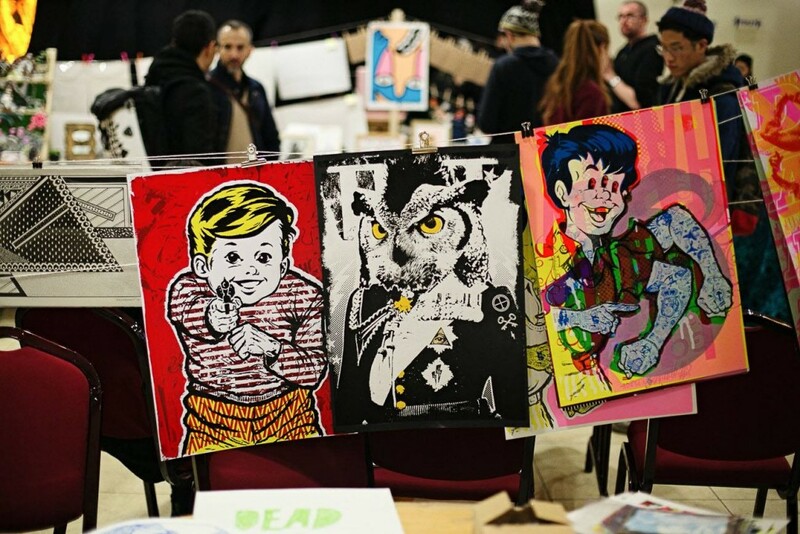 Brought to you by Hackney Flea Market the DIY Market runs from the Copeland Road in Peckham and showcases work from local London artists. Affordable art at your fingertips! 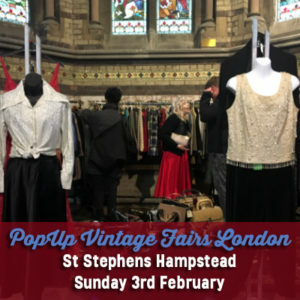 Pop-Up Vintage Fairs London hold monthly vintage fairs from some iconic venues such at St Stephens Rosslyn Hill Hampstead, Alexandra Palace and Wiltons Music Hall. 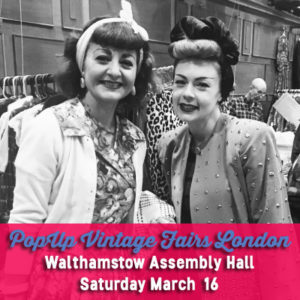 There events bring together a collection of fabulous vintage sellers from London and beyond. Events held in Walthamstw, Hamstead, South London, and North London. 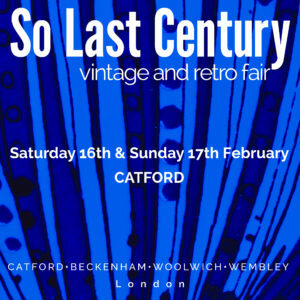 The So Last Century Market hold regular event in Catford and Bechenham in South London. A great selection of up to 75 trades selling mid-20th century furniture, home, interiors, vintage, collectables and antiques and more. Great for design enthusiasts and lovers of all things retro. Visit the next So Last Century event on Feb 16 & 17th 2019. 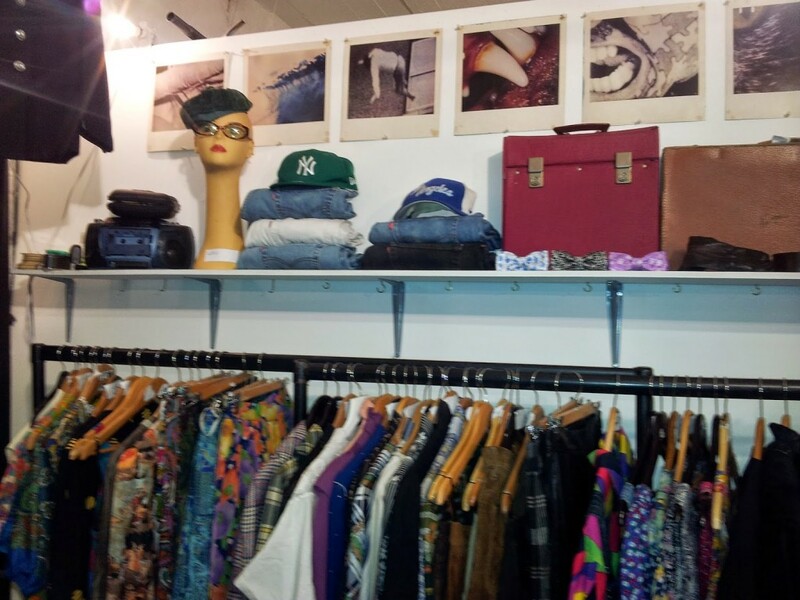 Brick Lane Vintage Market is a super cool, on-trend, vintage fashion hot spot open 7 days a week! It’s held in the Truman Breweries on Brick Lane. Distinctive and unique fashion and accessories from the 1920s-1990’s from the UK, Europe and beyond. Vinyl records too. Find out more. 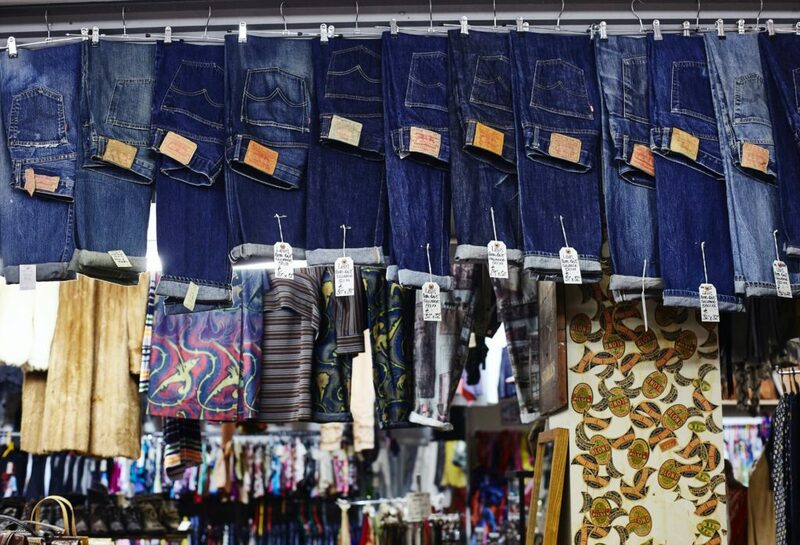 The Backyard Market and Sunday Up Market are also part of the Brick Lane fashion mecca in East London. Totally buzzing, and filled with people every Sunday. Great for all things fashion, vintage, up-coming designers, retro and street food held in two separate Truman Brewery warehouse spaces in the Brick Lane, east London district. Find out more. 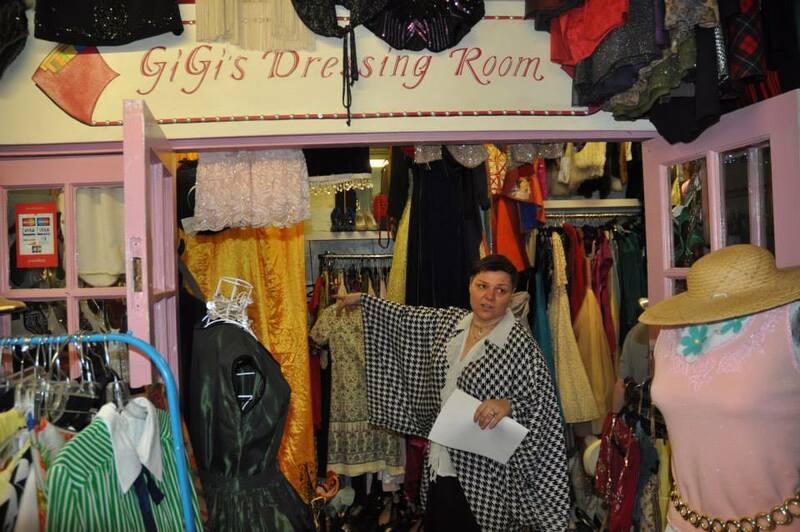 The Stables Market is a commercial market space, but there are a few great vintage and some fab niche fashion, goth and club wear, as you weave your way through the cobbled stable streets. The Basement Market is also a place to find some cool vintage and independent fashion brands. For example, CyberDog, . Visit. 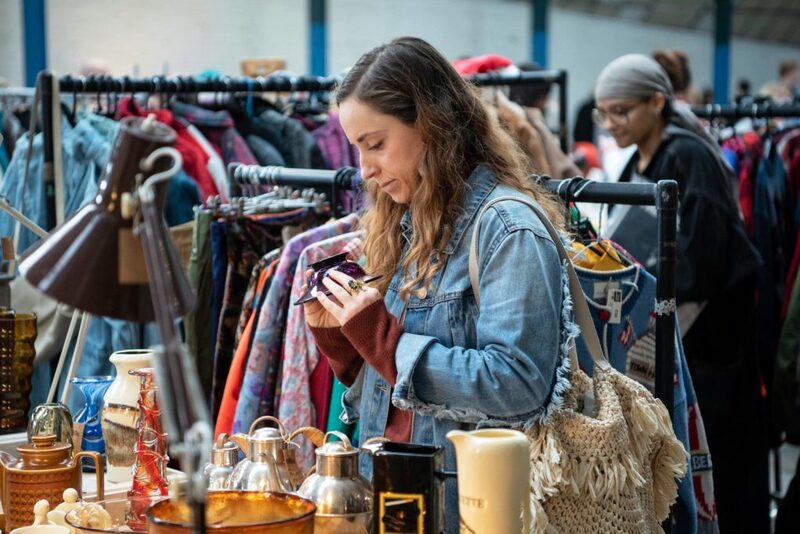 Hackney Flea Market, The Big London Flea and Peckham Salvage Yard are independent markets which run several times a year in Stoke Newington, Dalston and also Peckham. They curate an excellent selection of vintage, retro, antiques and second hand products alongside a few carefully selected makers also. 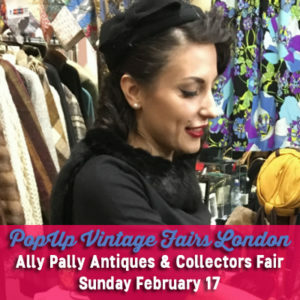 Next Big London Flea Feb 23rd, 2019. 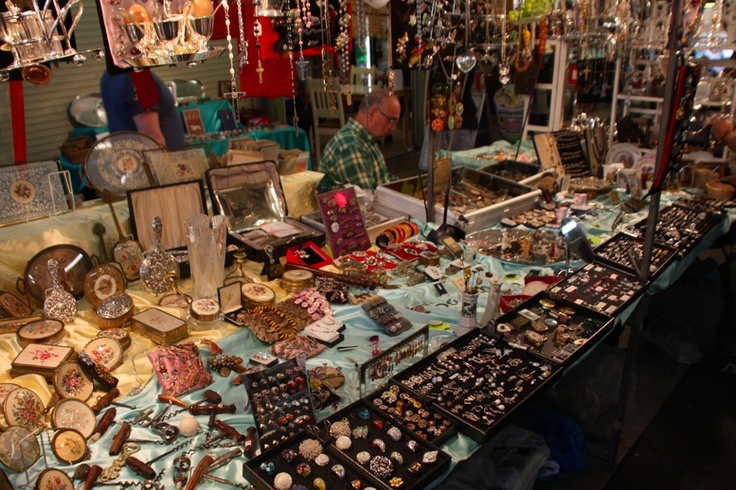 On Thursdays and Fridays Greenwich Market hosts its weekly antiques and vintage market. You’ll find up to 30 traders selling a range of collectibles, industrial home ware, twentieth century and more. Find out more. Old Spitalfields Antiques Market is held every Thursday and is a big hit with Londonder’s a tourists. 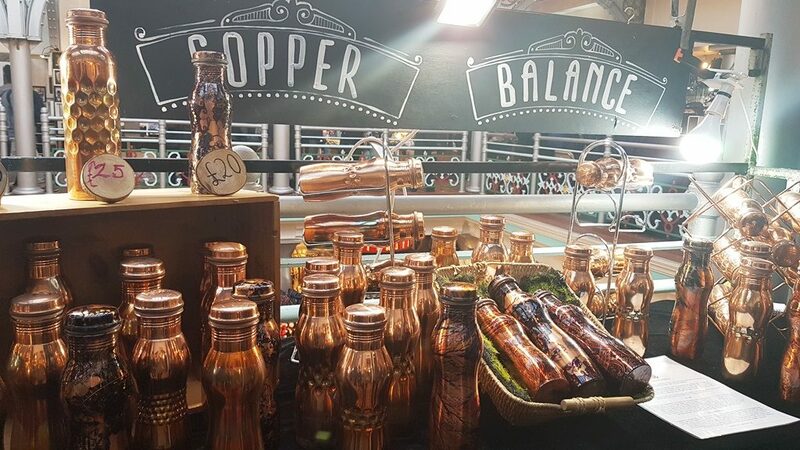 Due to an over-swelling food trade unfornately the market has shrunk considerably, but you’ll still find an excellent bunch of traders to peruse. Find out why you’ll love it. 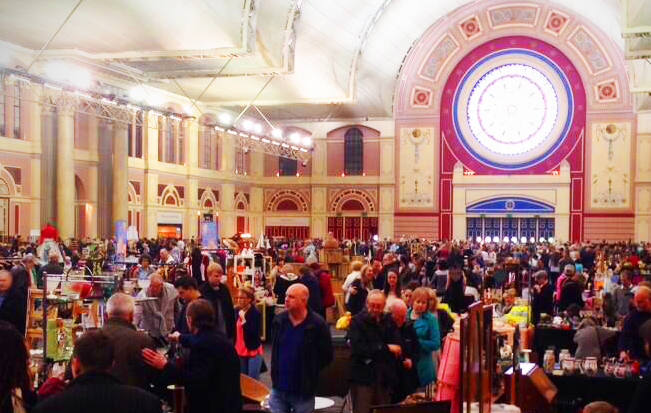 London’s best beast of an antiques market, held in the impressive Alexandra Palace. With over 200 stalls and it holds several dates per year this is our favourite independent antiques air in London, not to be missed. 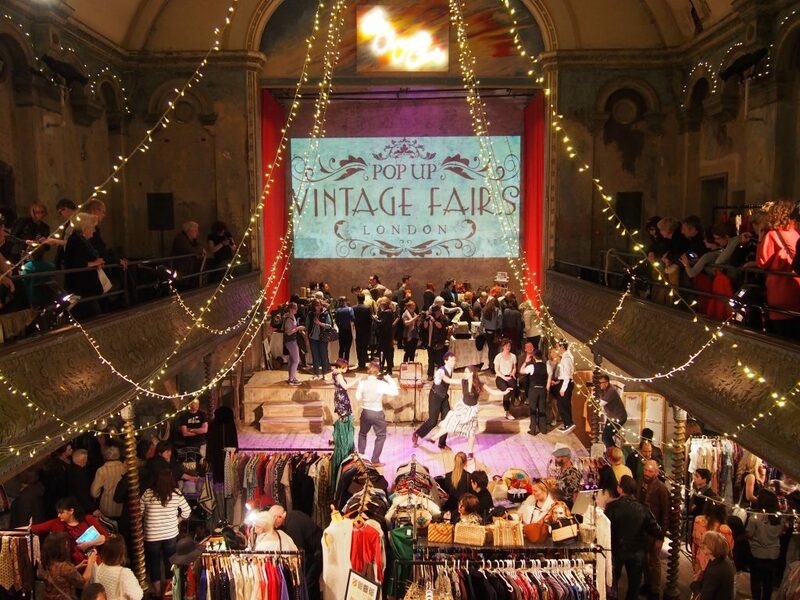 Pop-Up Vintage Fairs also curate a collection of vintage and retro traders at the fair so it really is a banger! Find out more. or read the blog Wonders at Wood Street Market. Tooting Market is a real South London gem, much loved by locals. 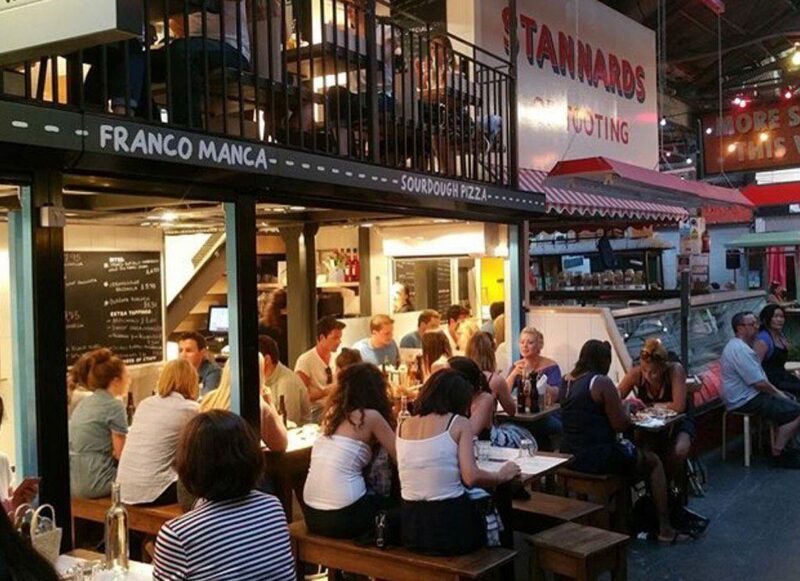 It’s has similar vibes to Brixton Village, you’l find some cool upcoming brands, cafes and eateries (including popular pizza hangout Franco Manca), alongside traditional old-skool market traders. Find out more. Brixton Village and Market Row are two super cool indoor markets where traditional indoor market vibes meet the urban hipster. 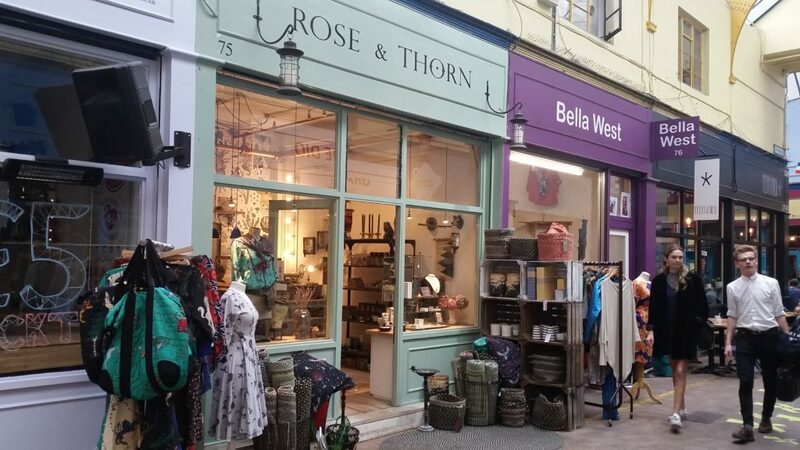 You’ll find a plethora of independent businesses, concept stores, cafes and restaurants running alongside some original Brixton market traders. Two reasons why Brixton is fashionable favourite. Find out more. 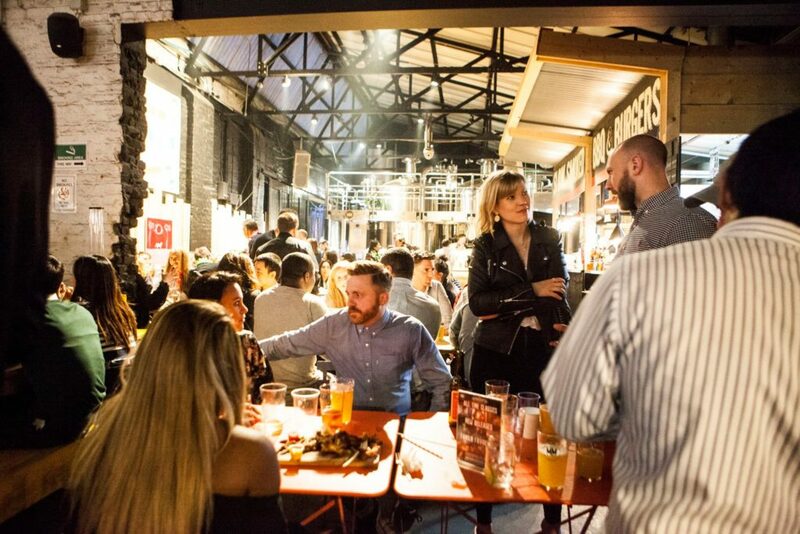 Mercado Metropolitan is an impressive community street food concept and social hangout a stones throw from Elephant and Castle. A foodie heaven filled with independent street food vendors and independent breweries and hip bars. Craft Fox Market hold an arts and crafts market there a few times per year. Find out more. Every knows and loves London’s Borough Market. Food glorious. You’ll fund the best independent producers, farmers and eateries from the UK and beyond. Great for lunch, an early Saturday shop or after work. 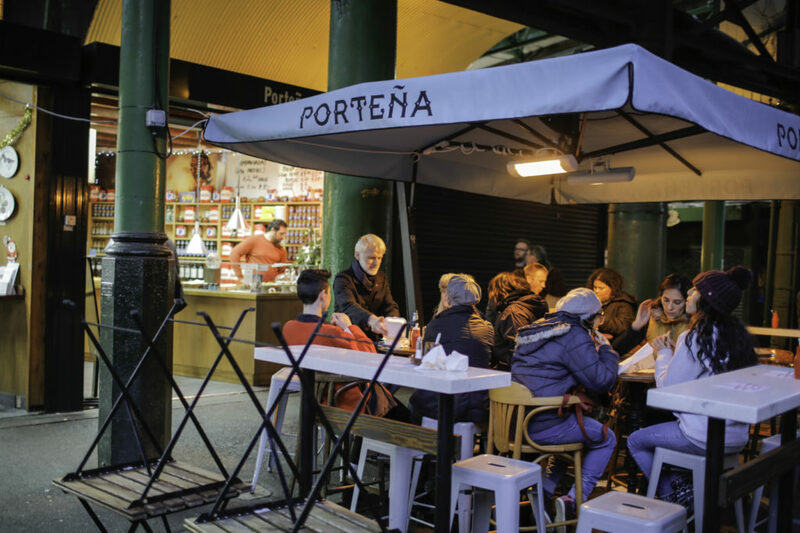 One of our favs is Portena for the super delish Argentinian empanadas, great as an after work warm-up with a bottle of wine. Visit Borough Market.